November is National Family Caregiver Month and the ALS Association Alabama Chapter is partnering with Alabama Respite and the Birmingham Area Sharing the Care Group to host a Caregiver Appreciation Event on Thursday, November 15 from 10:00 am to 1:00 pm at Brookwood Baptist Church in Birmingham. 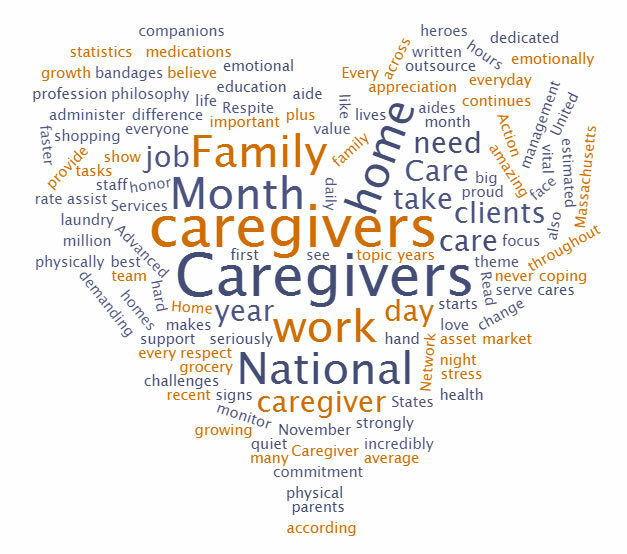 We love our family caregivers and want to celebrate them and acknowledge their important role and impact on the quality of life for people living with ALS. The event on November 15 will include tons of fun activities for Caregivers to enjoy – including a painting class, yoga demonstration, and more. Be sure to follow us on social media to find out more details as the event approaches. North Alabama Caregivers – Alabama Respite and its partners are also hosting an event in Huntsville on Friday, November 2 from 10am to 1pm at Brookdale Jones Farm. All Family Caregivers are welcome to attend. Event information will be on our website and social media. For more information contact Melissa Enfinger at melissa@alsalabama.org or 1.800.664.1242.